Computer technologies have been central to advances in astronomy and astrophysics since the last century and will play an important role in analyzing and interpreting more complex phenomena in the next decade. Many of the modern telescopes and observatories as the Very Large Array (VLA) of radio telescopes and the Einstein Observatory x-ray telescope created high-resolution astronomical images using computers as intermediaries between the telescope and the observer. 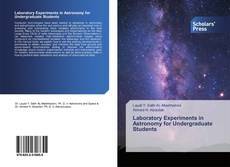 In this manual book, we explain how to use the exciting developments in astronomy to obtain, process, and interpret the data from ground and space-based observatories aiming to improve the astronomer's knowledge about modern experimental methods and instruments used for modern astronomical observations as well as show practical skills in how to perform data reductions and analysis of observational data.